Nozzle: 4 rows, 320pcs/row, total 1280pcs. It owns 600dpi high physics resolution, with few print heads could reach high definition printing performance. 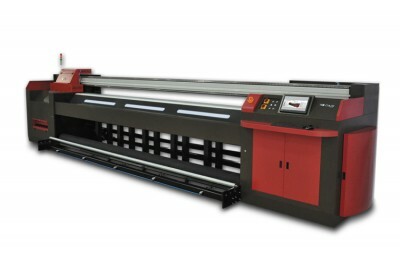 It has independent ink channel, one print head can reach max 4 color printing. It max could reach 8 degree Greyscale with high color expression ability. D. Convenient to install and maintenance. With this function, it can keep the inks under the best state for printing and reach the best printing performance. It adopts LED lamp. The LED lamp has the super long using life, low radiation, low power consume advantages. it is more safe and environment friendly when comparing with the mercury lamp. The printer has the Heavy Duty Load Mechanical structure design, it ensured the best printing performance on both rigid material and roll to roll material, such as the metal, glasses, stone, scutcheon, KT board, PVC etc. 4. High precision printing panel. Under the panel, there is the sucking design, it is controlled by the switch according to the needs, it can ensure the printing material lay on the printing panel tightly without offsets and can print smoothly, then reach the perfect printing performance. Imported Industrial X/Y Axis delta servo motor, it can supply enough power to meet the printing needs. The height of the carriage is adjustable according to the printing material's thickness(Maximum15cm), with this function, the printer has a wider application. 8. Negative Pressure Ink Supply System, it guarantee the stable ink supply during the printing. 9. Double rail design, it ensure the stable movement of the carriage; Heat resistant, oil resistant, wear-resisting and long using life Italy megadyne belt and so on high quality spare parts ensure the whole high quality and high performance of the printer. wall paper , PP,vinyl, leather and other medias.